Ever wondered what a French Limestone Mantel could do to your house? Well, research has discovered that majority of homeowners today are using a custom French Limestone Mantel with Patina to uplift their interiors. 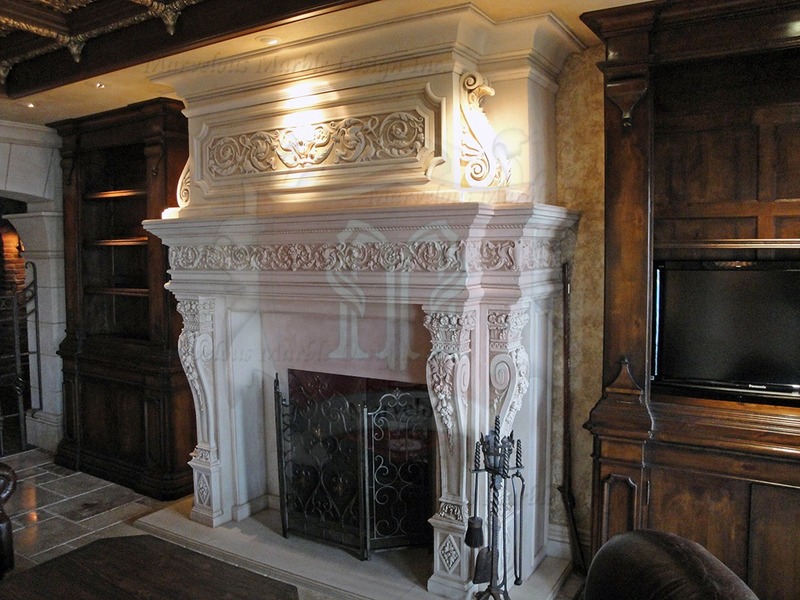 This mantel is a true representation of elegance, strength and durability. Compared to other natural construction materials, limestone has proved to be more reliable, tough, and resistant to impact. 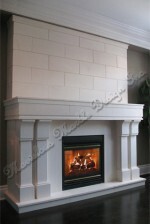 Once you install this Villeneuve French limestone fireplace mantel in your house, you will have peace of mind knowing that you might never again spend money purchasing a mantel. This masterpiece is built to last. While other fireplace mantels tend to give in to excess heat and over usage, a custom Villeneuve in French limestone with Patina mantel remains steadfast for decades without any visible crack or scratch. Definitely it is a worthwhile investment that will turn your dull living room into an endearing space that everyone will be proud of. This piece of art features some creative patterns that cut across its frieze and down on either side. Each of these designs is carved by hand to ensure accuracy. 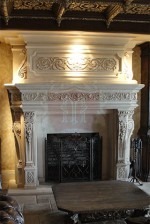 If you wish to customize your fireplace with a personalized French limestone mantel, you just have to make your known to the team of qualified craftsmen. 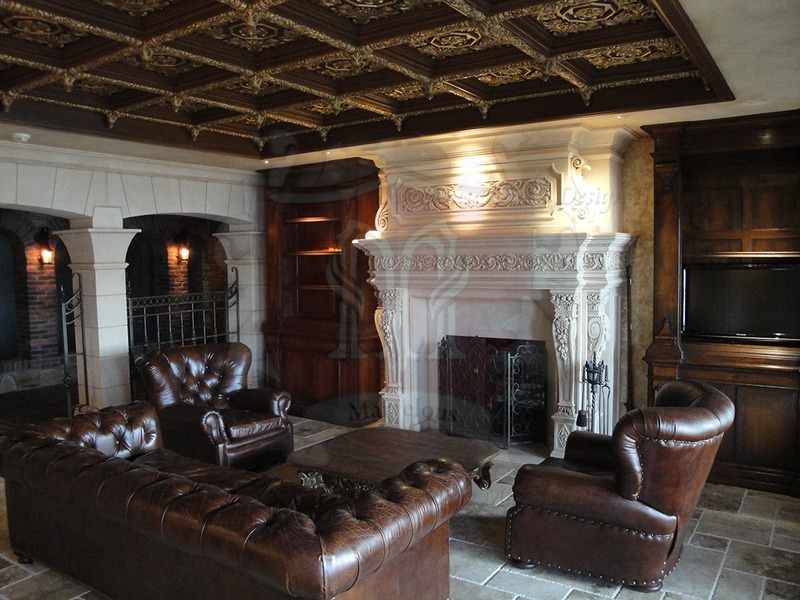 Another important thing about this custom Villeneuve in French limestone with Patina mantel is that it is highly versatile and adaptable as it can be used together with a variety of other unique interior design elements. Its natural white tones make it a neutral decorative element that can fit in any space without causing color clash. 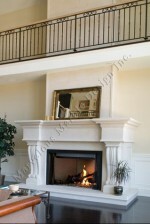 Therefore, you won’t be required to keep changing your fireplace mantel every time you want to redesign your interiors. So, it’s a perfect way to cut back on your budget. You don’t need to perform complex maintenance tasks on this masterpiece as it only requires regular cleaning. Because of its flexible designs and colors, this fireplace mantel can be used in almost every part of the house including your living room, sitting room, dining room, and bedroom. 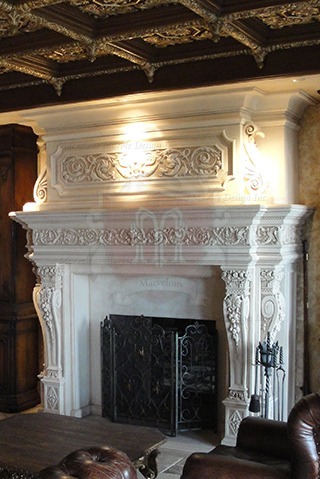 If you are looking for a nice masterpiece to capture the attention of whoever visits your house, then this custom French limestone mantel is the right choice. It will surely transform your plain fireplace into the center of attraction. You do not need to spend huge budgets on expensive artworks just to make a statement about your taste and style; this mantel will do.